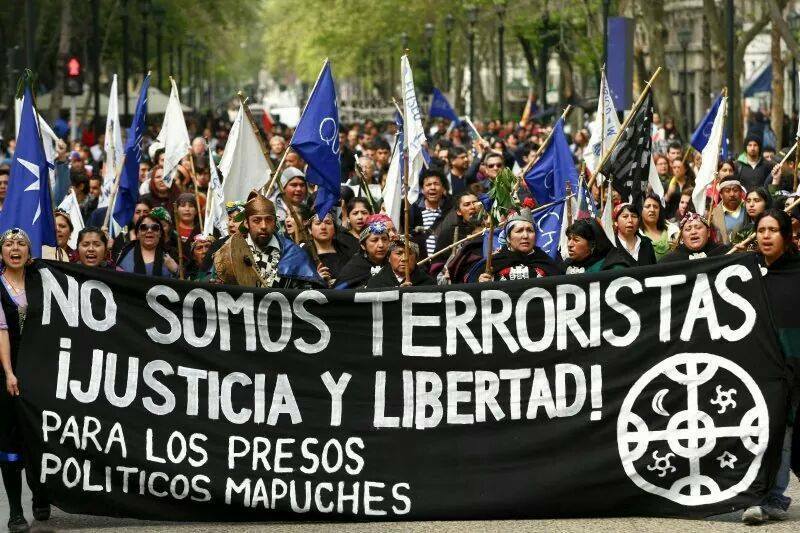 Mapuche prisoners end their hunger strike after 39 days. After more than a month without food, indigenous Mapuche prisoners ended their marathon hunger strike Thursday evening after the Chilean government agreed to work with them on their demands, including a pledge to review the country’s anti-terrorism law with input from the protesting mapuche community. “The hunger strike has ended, the prisoners have been taken to the Hospital de Nueva Imperial, in order to stabilize those that have been on hunger strike up to this point,” Justice Minister José Antonio Gómez said in a statement Thursday night.Leonardo Quijón, Luis Marilao and Cristian Melinao started their hunger strike on April 7 and had made it 39 days without food until the deal was made. They have been asking the government to move them to a facility where they can better practice their traditions, to review their cases — all three were sentenced to 10 years under the country’s controversial anti-terrorism law — and to pardon a fourth prisoner, José Llanca Tori. The 40 year old, serving a five year sentence for attacking a commercial van and setting it ablaze, is currently in a hospital in Temuco battling a life-threatening chronic illness that has damaged his pancreas and led to cirrhosis of his liver. In the agreement made Thursday, after a recovery period in the hospital the men will be moved to an education and work center in Victoria where they will have more freedom to practice their traditions for the duration of their sentences. The center is not the original one requested by the prisoners but is closer to their families than location proposed in May 6 talks. The condition of Tori will continue to be monitored by specialists in Temuco. The justice minister said that as they better understand his condition they will consider his case on humanitarian grounds. “In relation to the situation of José Mariano Llanca Tori, as we have indicated at various times, we are interested above all in guaranteeing the medical attention that he requires as a result of his current state of health,” Gómez said. “With this motivation, as several different specialists have recommended, he will remain in the Temuco Hospital in order to continue the medical treatments they have determined [are necessary]. After this medical intervention, his health will be analyzed in order to review the petition for a humanitarian pardon,” the justice minister added. The third part of the agreement, to review the application of the country’s controversial anti-terrorism law, may have implications beyond these three men. Chile’s anti-terrorism legislation has been criticized by experts from the United Nations and human rights groups for its almost exclusive application against Mapuche activists and the exceptional tools it provides prosecutors in these cases. These include the use of military tribunals, extended sentencing, and anonymous testimony. The latter has been the focus of a recent series of appeals, protests and overturned cases. The breakthrough agreement came after the governor for the Araucanía Region, Francisco Huenchumilla, spoke out urging the Justice Ministry to act. A fourth Mapuche prisoner, Celestino Córdova — found guilty in February in the arson deaths of the Luchsinger-Mackay couple — joined the hunger strike after the Supreme Court upheld his conviction and sentence on Monday. He remains on hunger strike asking to be moved to a facility in Vilcún where he can continue to work as a traditional Mapuche machi, or healer.